This letter is in response to an organisation called the Islamic Research and Education Academy, which has organised a discussion on Friday 12th June under the title ‘Does Islam clash with British values?’ So far, so normal. However, as part of this debate they have chosen to invite Paul Golding, leader of Britain First, Stephen Yaxley-Lennon (AKA ‘Tommy Robinson’, ex-leader of the EDL) and Anne Marie Waters of UKIP, ‘Sharia Watch’ and founder with Yaxley-Lennon of the Islamophobic ‘Victims of Islamic Cultural Extremism’. We believe this invitation extended to some of the most well-known names in the Islamophobic far-right is dangerous and that at best the organisers could be accused of naivety. It is also not clear that any of the speakers from the ‘Islam’ side of the debate represent a significant number of British Muslims. Fascists and racists on the extreme right thrive on respectability. For this reason there is a long tradition of not giving them a platform to spread their views. An anti-fascist spring in the Midlands! There’s a number of important anti-fascist call-outs to support over the next few weeks. 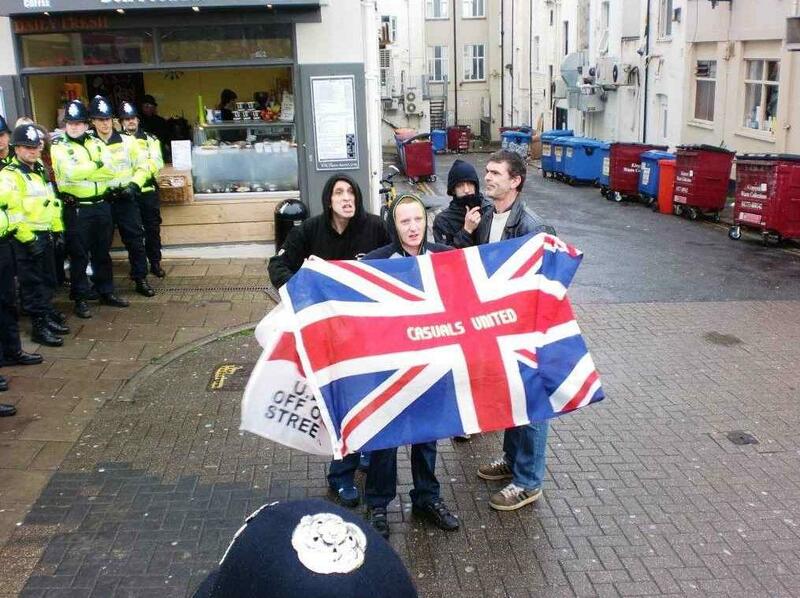 Midland Anti-Fascists seem to have unfortunately ended up with the lion’s share of horrible far-right racists descending on their towns and cities in April and May. There has been some highly suspicious goings-on at Birkbeck University, original venue for the Islamic Human Rights Commission’s conference on Institutional Islamophobia. After a small scale threat by far-right groups Casuals United and Britain First, Birkbeck College have decided not to host the event, necessitating a last minute change of venue. 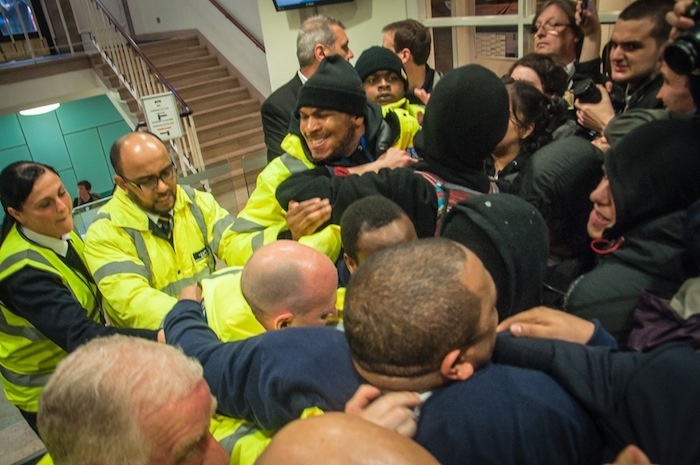 Officials from Birkbeck have cited their inability to organise security for the event, a claim which does not stand up to scrutiny when you consider that in the past, the University of London have hosted some very controversial events, that have led to large protests. In 2011, they hosted Ian Blair, ex-Met Police commissioner. This led to large and rowdy student protests but the talk went ahead. As recently as May this year, they hosted David Willetts, universities minister. The university somehow found enough security to host that talk, despite further rowdy protests. This time, however, it appears the threat of a dozen or so far right misfits has the entire university security apparatus, which has in the past dealt with occupations and demonstrations of several thousand people, utterly stumped. Things took a slightly more sinister turn when IHRC staff, on a routine visit to the site, were dragged into a impromptu meeting with University Officials and, scarily, a local Council PREVENT officer, who seemed more concerned about the event’s participants and the planned anti-fascist counter protest than the actual, minimal, far-right threat. PREVENT is a counter-terrorism initiative designed to combat extremism, and has repeatedly and disproportionately targeted Muslim communities. This is extremely suspicious, considering the conference was organised in part to criticize PREVENT, and it’s parent project, CONTEST, as inherently Islamophobic. It seems likely that PREVENT had a hand in getting the conference venue pulled, and if that is true, then a conference on institutional Islamophobia has itself become the victim of institutional Islamophobia. The full text of the IHRC press release can be found here. A small note to those planning to attend the conference: it has NOT been cancelled. A new venue has been arranged and emails are being sent out confirming that. Antifascists will still be out on the day, just in case. Contact London Antifascists if you’re interested in being involved. This Saturday saw the people of Teesside take to the streets to oppose a national EDL demo in Middlesbrough. Our previous posts have covered in detail the supposed rationale behind the EDL demo (‘grooming’ appears to have overtaken terrorism as their current favourite thing to blame all Muslims for). Sterling work was put in by North East Anti-Fascists and Teesside Solidarity Movement to create a broad-based local opposition to the fascists. On the day about 200 anti-fascists gathered. There had been a call out to dress in red and to bring red banners and flags to go with the organising theme ‘We are Boro’. Red being the colour of Middlesbrough FC and the traditional colour of workers’ solidarity. 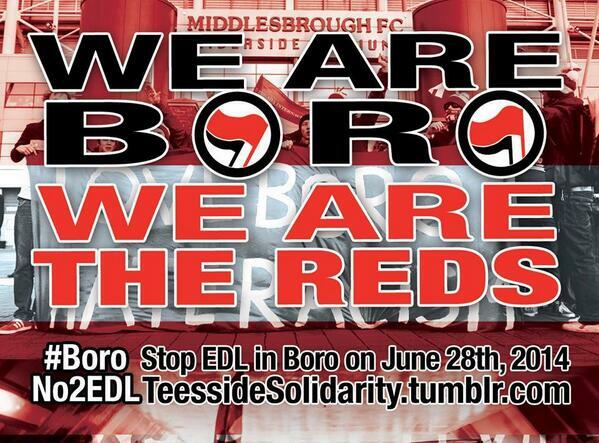 Stand together against the EDL in Middlesbrough this Saturday! The EDL have called a national demonstration in Middlesbrough for this Saturday 28th June. 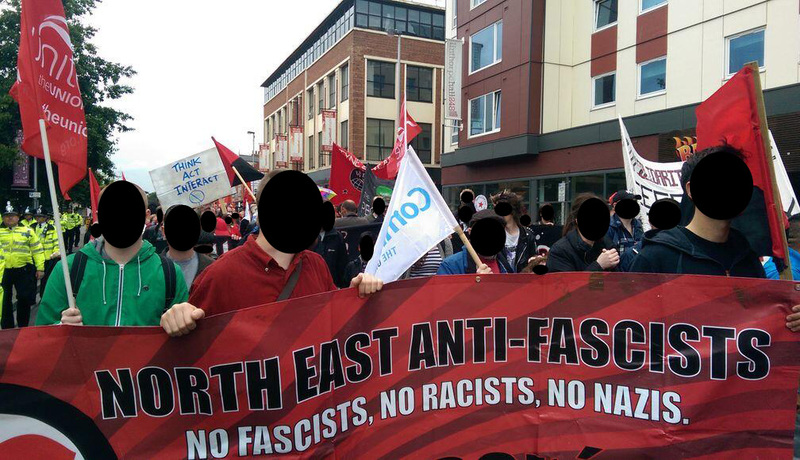 Teesside Solidarity Movement and North East Anti-Fascists have been working together with other local anti-fascists including Unite and Unison in a broad coalition to organise a response. Last year in the immediate aftermath of the Lee Rigby killing the EDL got 2000 at their national demo in Newcastle. Middlesbrough won’t see numbers anything like that – the EDL have splintered and shrunk massively since last year, with continuous pressure from anti-racists and anti-fascists as well as the defection of the leadership, huge internal arguments and entire ‘divisions’ leaving en masse, unhappy with the new leadership.